My wife's Yamaha XT225 has recently sold. 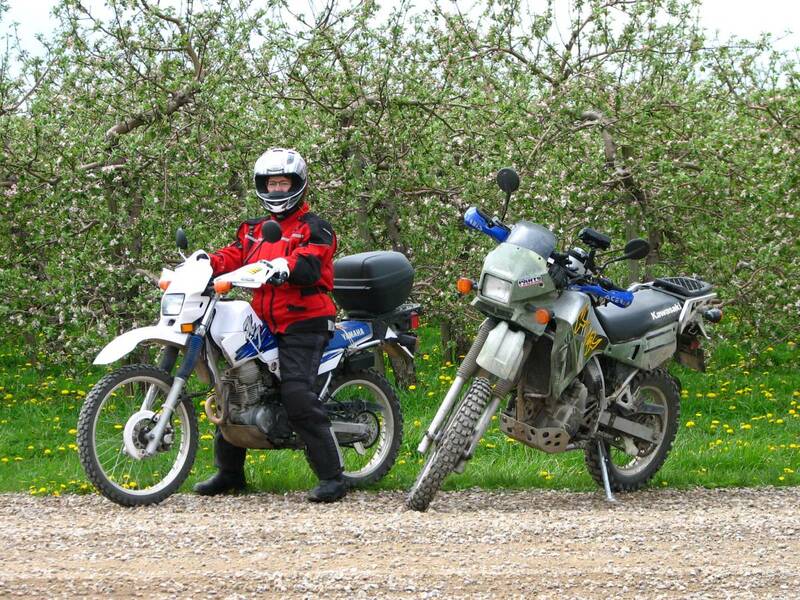 She bought it with the idea that she may join in on one of my adventurous rides I take on the KLR650. Well she did just that on a ride we took to the James Bay region of Quebec a few years ago. It didn't end well as the fatigue of riding for multiple days took it's toll. We ended the trip early. I won't soon forget the fatigue and emotion of her last hours on the XT. She has not once set on the XT since, and it has merely been taking up space in the garage. It hasn't even had insurance on it for some time. Here is a photo taken the day it left with new owner Shawn. Here is a nice photo I took on a local ride on the north shores of Lake Erie. So I was riding along my road minding my own business when on my left a huge dog came galloping out of a driveway at full speed. 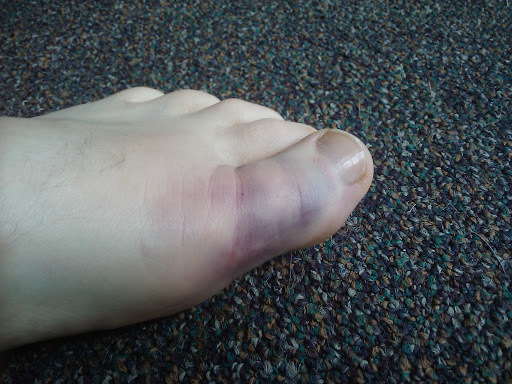 I moved to the right to avoid him but he didn't slow down and nailed me hard right into my left foot. 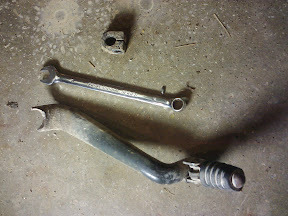 He hit me so hard that my foot was driven into the shift lever and it snapped right off! I saw the dog tumbling on the road and started to slow and turn around to check on him. I coldn't make it back because I was in top gear and couldn't downshift-the engine lugged and stalled. I pushed the bike back after getting stopped. 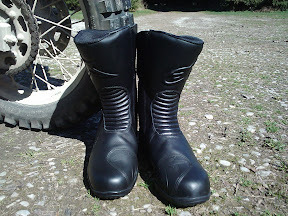 The dog had a bloody face and there was blood on my riding pants. He was visibly shaken but walking. 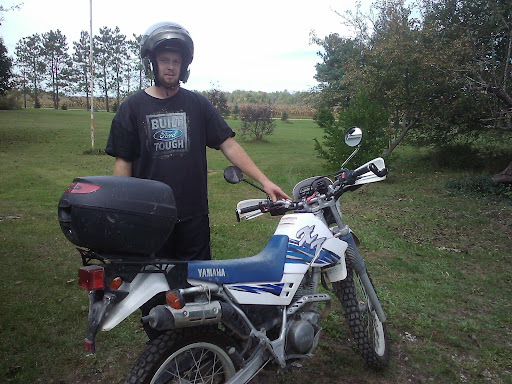 I borrowed a pair of pliers to use on the transmission shaft to downshift the bike so I could get it going and ride it the few kilometres home. 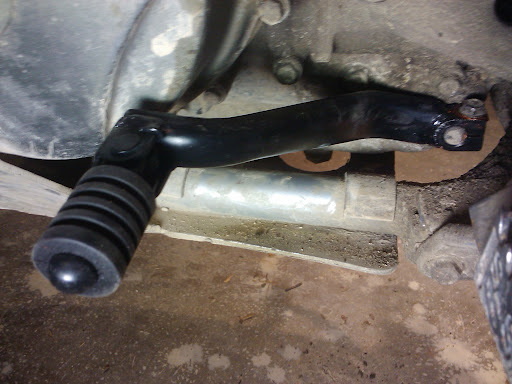 I have a spare shift lever in the garage but my toes are so sore I can't shift so I won't be riding it anyway. I can't drive the truck either as it's a standard and it hurts too much to depress the clutch pedal. The only thing I can ride is Jane's Suzuki Burgman 400 scooter! This list is courtesy of automotive Journalist Mark Richardson who is on a drive across Canada to commemorate the 50th anniversary of the completion of the Trans-Canada highway (and his 50th birthday). 5. You can drive fast, but you must not hurry. Those elements alone will turn a drive into a good road trip. They ensure a bit of adventurous exploration while also offering some sort of challenge. You don’t have to go far; you can drive away now and return this evening with a sense of accomplishment. This is one welcome occasion when length doesn’t matter. 10. You must share at least some of the journey with somebody else. You can follow Mark's blog here. On June 27th, I reached the amazing milestone (kilometrestone?) 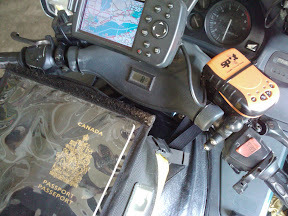 of 500,000 kms on my 1998 Honda ST1100 motorcycle. This machine, which I bought new in March of 1998, has the original engine and has been an amazing companion to me in my travels. Imperial Oil of Canada /Mobil1 oil were there to mark the occasion with a video crew. I have been using Mobil1 synthetic motorcycle oil in my machine since it was new. It is the best protection you can offer your engine. Thank you to Mobil Oil and Imperial Oil for recognizing my accomplishment. 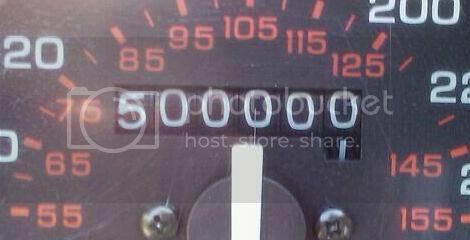 Here's to the next half a million! I've had plenty of experience with early spring motorcycle trips. Some of them have ended with snow. Hopefully this one will not. With thanks to Will England and Mike Turley of the ST Owners Club, I have a new (to me) radiator on my high mileage Honda ST1100. I have the exhaust system from this same motorcycle on the bike currently. The rad was delivered to me at the same time but I haven't needed it until now. The rad has been in need of replacement lately as the fins are in poor shape and it is heavily gummed up. I was originally planning to remove the original rad to bring it to a rad shop to have it acid bathed and the fins looked at. Removing the radiator yesterday, I broke a bracket on the rad as I was removing the fan. A seized bolt caused the bracket to twist and crack as I turned. So my backup radiator was brought into action. Here is the photo. 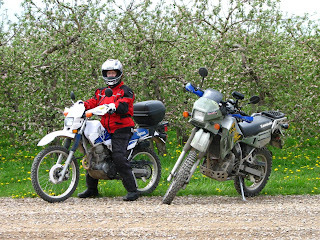 The mild snow free winter and early spring warmth has meant an early return to daily riding and I need to get a jump on my maintenance or I'm going to be left behind. Two jobs needing immediate attention are the front brakes (which have been squeeling for some time) and the radiator. The original radiator is gummed up badly and has a lot of bent fins. 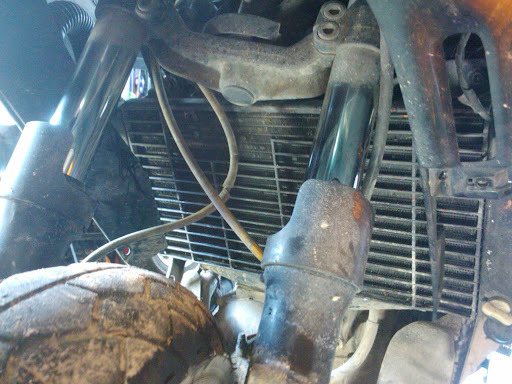 I have a replacement radiator ready to go on after I finish the front brakes. 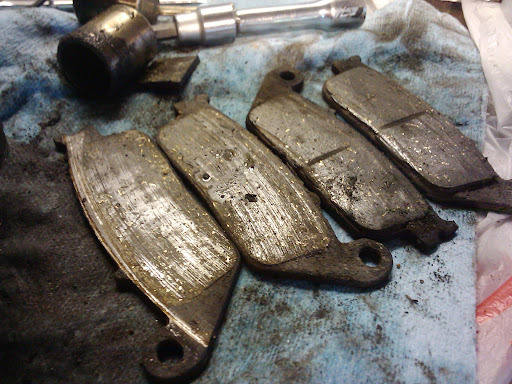 Here is a photo of the brake pads I removed.